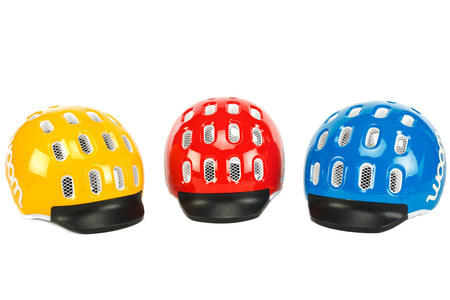 With the same mindest and attention to detail as with our woombikes, the woom KIDS HELMET is not a downsized adult version but instead specifically designed with children and their needs in mind. Since the head of a child is not only growing but changing in its proportions, we adapted the helmet shape for every size and age accordingly, rather than simply scaling it up and down. 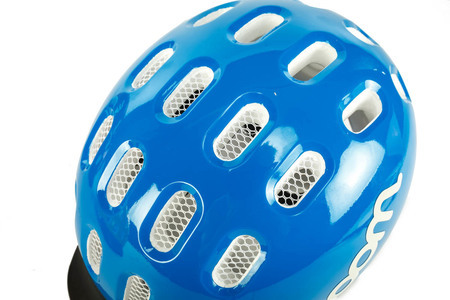 The helmet shell was pulled down as low as possible for extended protection and since especially young children not yet have the reflex to protect themselves with their hands when falling we have developed a sun-visor which double acts as additional forehead protection. 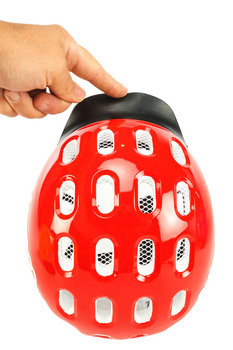 A unique feature on the bicycle helmet market! In our opinion, if a product aimed at children is to succeed, it has to look good. And the bright colours of these helmets certainly tick that box. Another practical feature is the rubber visor for added protection.